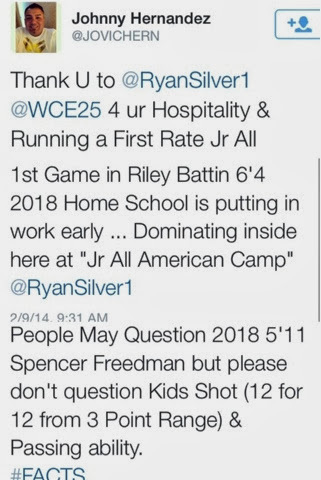 Cerritos, CA – Plenty of names get tossed up in the world of amateur basketball, some new and some old, but no name speaks more volume than the name of Ryan Silver. 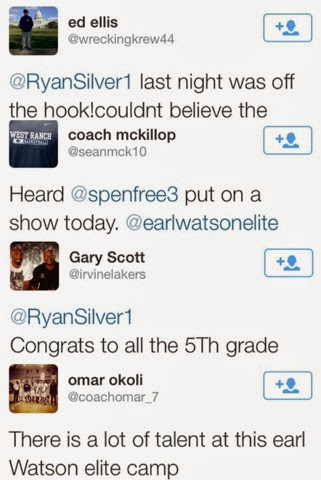 Silver has helped plenty of amateur athletes reach the next level of sports through development, exposure, and guidance. He has been the golden bridge between college and high school coaches for many athletes. This past year Silver helped send nine athletes to Division 1 and two athletes to Division 2, through academic and athletic scholarships. 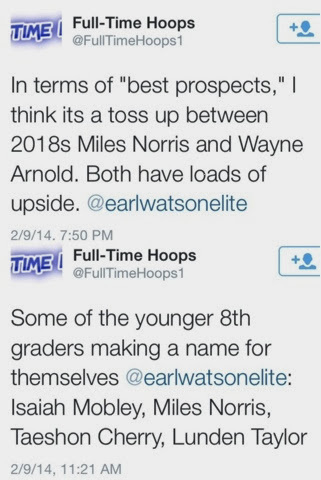 Now, Silver has teamed up with NBA player Earl Watson and Under Armour to broaden his horizon and fully dig his hands into the pool of middle school hoops. Silver did not disappoint with his delivery. 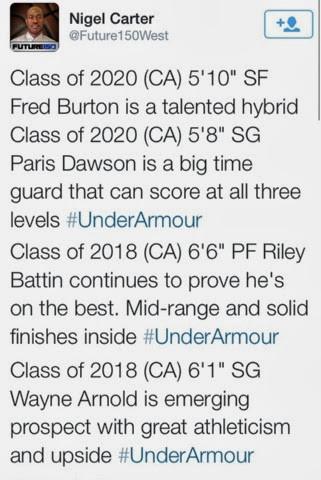 This past weekend he hosted the first annual West Coast Elite Jr. All-American Camp in Southern California, sponsored by Under Armour and Earl Watson Elite. 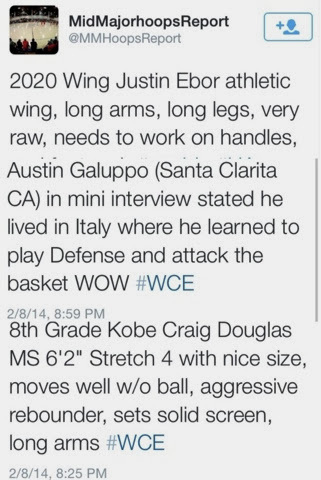 The camp showcased plenty of players with huge upside and even some players already looking to play varsity in 2015. Over one hundred middle school athletes filled the floor and walls at Gahr High School Saturday evening. As the participants started the day off getting acquainted with their camp coaches that included Johnny Parker (Lawndale High School coach), Marquis Washington (Earl Watson Elite coach), Jamal Hartwell (All City West founder), etc. Then the athletes started heating up in the evaluating stations and a skills workout provided by Coach Brent Summers. After a quick sweat, Betsy Economuo (athletic trainer/ nutritionist)spoke to the group about nutrition, also optimizing and developing their body while playing sports, specifically basketball. And finally, rounds of games between all the teams. Spencer Freedman (2018) was the buzz all Saturday night. As he went for an astonishing 41 points during one of the camp games, finishing 11-11 from the three-point line! 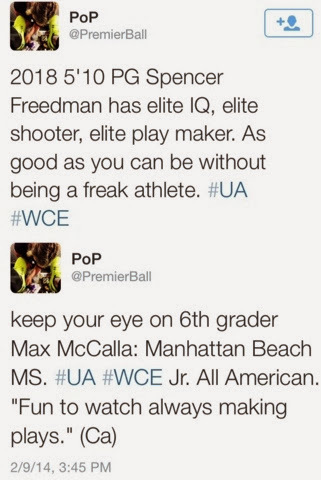 Spencer Freedman continued to solidify and showcase his talent against top tier competition. 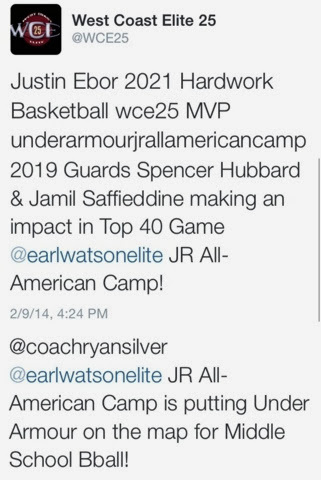 Video Recap of Silver’s first annual West Coast Elite All-American Camp provided by Iowa Elite (@iowaelites).